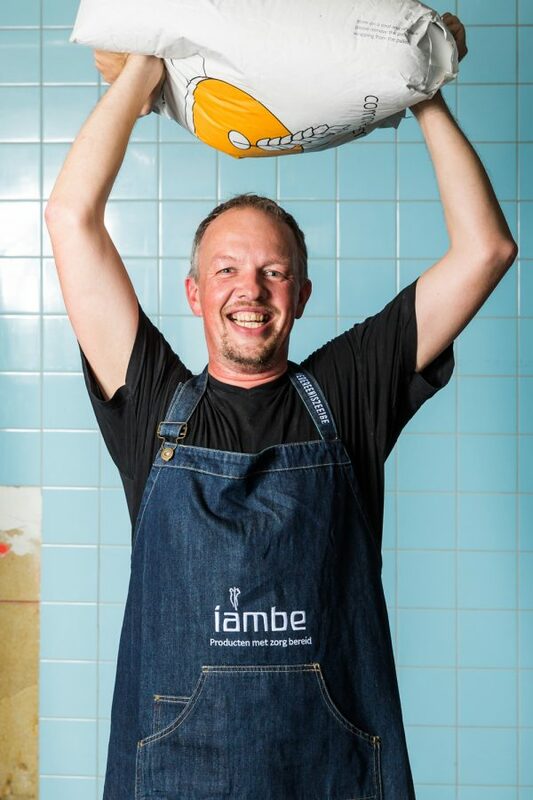 Wunderwald was approached to help Iambe Bakery with a rebranding which had as purpose to encourage brand recognition. During this rebranding phase, it was clear from the very beginning that the original anthroposophical design needed to be respected. 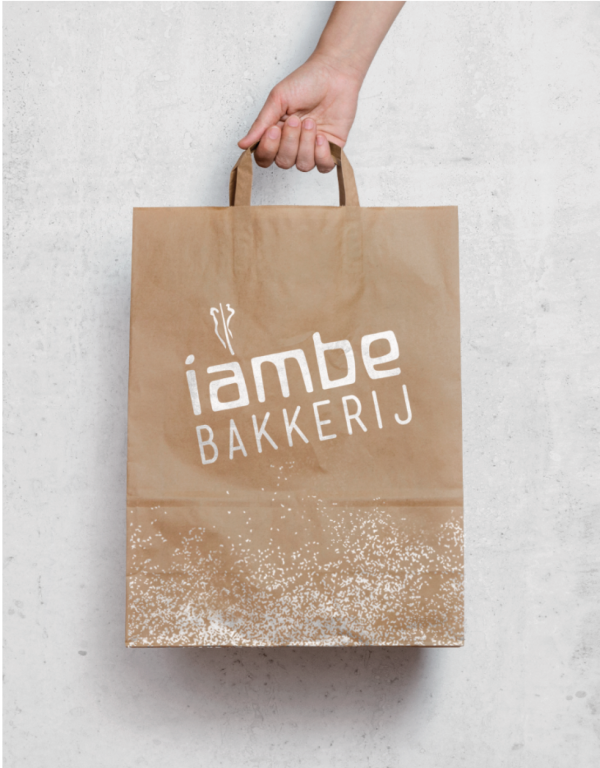 This meant that the logo stayed pretty much the same, except for the addition of the word “bakkerij” (Dutch for ‘bakery’) to make it clear to the outside world what Iambe does. 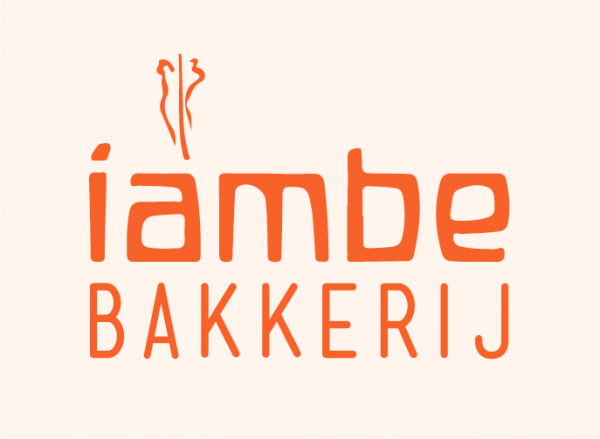 Iambe Bakery is part of the Raphaëlstichting, which is an anthroposophical care organization. 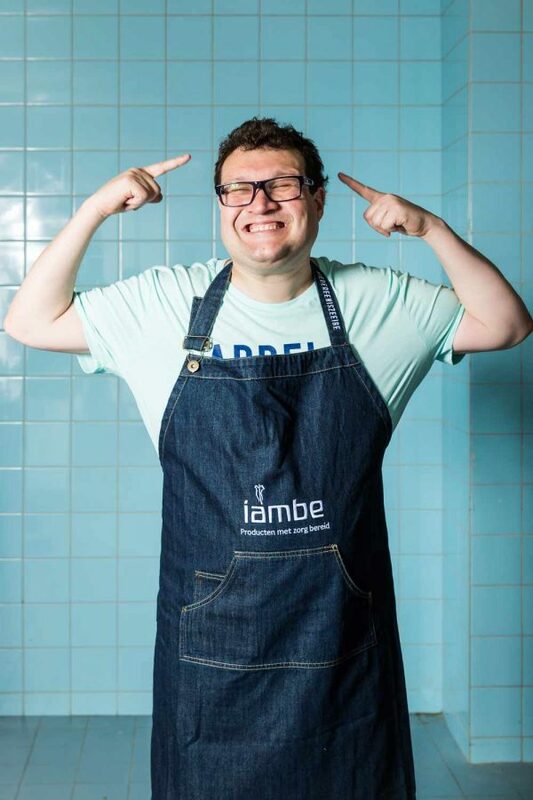 Iambe Bakery offers people with Down syndrome the chance to work as a baker. We developed brand guidelines with a soft pastel colour palette, print-ready marketing materials, and packaging. In collaboration with photographer Nichon Glerum, we created a concept for campaign images where the Iambe bakers are throwing flour in the air. The pictures definitely make the bakers stand out!